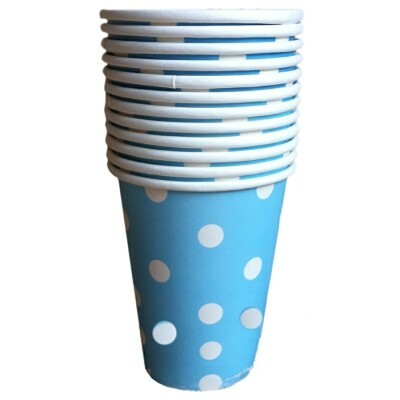 Bring a casual, but classy look to your table setting with our Polka Dot Blue Paper Cups! Cups are made of paper. Package includes 10 cups.